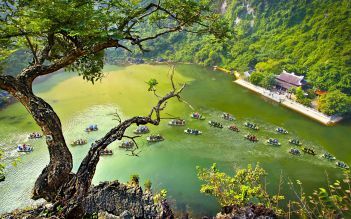 With this 6-day trip, tourists will have chance to visit the beautiful Halong Bay with an overnight cruise, 2-day trip to Ninh Binh to explore Hoa Lu ancient capital, Tam Coc Grotto and Thung Nham bird garden, as well as an amazing time in Hanoi with street food tour and a free and easy with local tour guide. Come and enjoy! Upon arrival at Noi Bai Airport, pick you up and transfer to Hanoi center. Check in hotel and then free time at your leisure. Evening,, spend around 2 hours for a special tour to enjoy the street foods of Hanoian. Overnight at hotel in Hanoi. 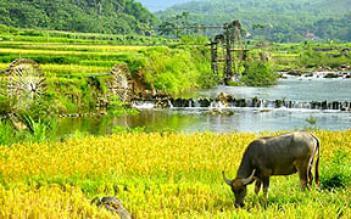 Around 07.15 Tour guide picks up from your hotel and departure to Ninh Binh. 10:00 Arrive Tam Coc start your first visit on a sampan boat rowed by a local for about 1.5 hours . 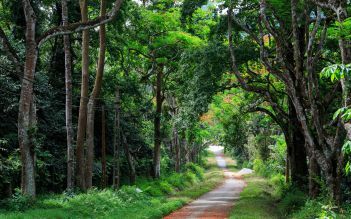 The boat trip is a nice journey along the river with the peaceful scenery of Limestone Mountains, rice paddy and the sight of some temples along the way. 14:00 Visit a local family in Tam Coc. They are a traditional Vietnamese family with three generations living together. Here you will get the chance to see the house architecture and their daily life and their handicraft job of making traditional embroidery. 19:00 Dinner served with Vietnamese food and BBQ by the local family host. Then stay overnight at the bungalow or the hotel. 08:00 Under the introduction of the tour guide, you will learn some basic keywords of the Vietnamese when purchasing goods in the local market. After that, you will be provided a list of courses in the cooking class and all necessary ingredients should be prepared. With the certain number of Vietnamese money, we go to a local market. After 30 – 45 minutes purchasing ingredients and exploring local culture at the market, we will come back to our class kitchen and get ready for the cooking class. Having a strong passion and love for Vietnamese traditional food, our talented chef, with his rich cooking experience, will introduce you the basic principles of each course and how to make it. Now you will have an opportunity to experience in cooking yourself like a real Vietnamese chef. 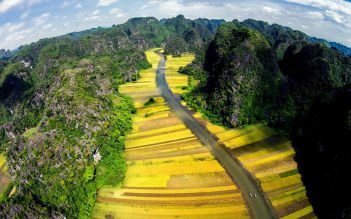 08:30 Take a bike to Mua Cave, Mua Cave one of the most alluring places to view in Ninh Binh, Hiking up to the peak of Ngoa Long Mountain to take your amazing views of the Tam Coc, Ninh Binh area. 11:30 Enjoy delicious lunch served at the bungalow’s restaurant with Vietnamese cuisine. 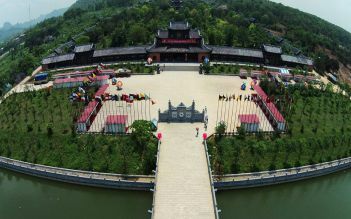 15:00 - 15:30 Departure to Hoa Lu, the ancient capital of Vietnam in the 10th century, visit the temple of King Dinh. Under the introduction of our local guide, you will get to know more about the Vietnamese history. 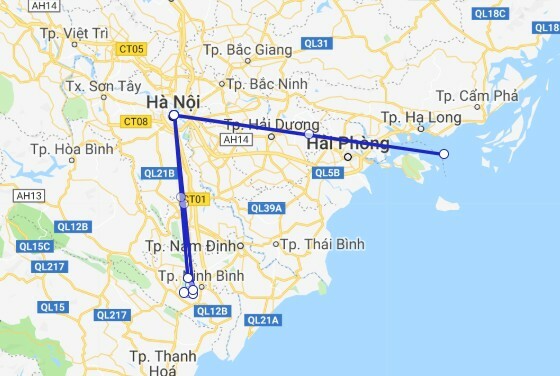 18:30 Arrive in Hanoi, drop you back to the hotel. Free and overnight at the hotel in Hanoi. After breakfast at hotel, morning pickup service by shuttle bus (about 08:00 - 08:30am) then transfer to Halong Bay, short break on the way. We enjoyed the boat ride and was mesmerised by the beautiful scenery. The car was spacious and comfortable and the driver ensured a smooth and safe journey for us. Food was good too. We loved the grilled goat meat dipped with the fermented bean sauce and wrapped with the rice paper. The guide was friendly and extended an extra mile by recommending us a dining place to have our dinner. She even reserved a table for us and brought us there before she left. Thumbs up for the wonderful service!